We are a team of marketing professionals who strive to maintain a balance within the constantly changing trends within our industry. Our goal is to ensure that our client’s businesses succeed. Learn more about our innovative culture, company, and business model. We offer a full range of marketing services to provide balanced online strategy. Each component plays an integral role in ensuring that an online presence is developed and maintained according to the latest and best practices in the industry. Click Here to discover how Search Engine Optimization could help Your Business. Search Engine Optimization (SEO) is a fundamental component to any digital marketing endeavor. Properly applied, SEO ensures that your website will be found in online searches. Click Here to discover how Company Blogging could help Your Business. Business blogging is a great way to add fresh content to your website. By providing your clients with quality resources and relevant information, you give them (and the search engines that rank you) a reason to return to your website. Click Here to discover how Local Optimization could help Your Business. As a local business within your community, maintaining up-to-date information across the internet is crucial. Local Optimization ensures your local online listings are correct & up to date. Click Here to discover how Review Management could help Your Business. People use the web every day to search for the products and services that your business is providing. Online reviews are of incredible importance when it comes to your website’s visibility – but maintaining a positive reputation can be challenging. Click Here to discover how Graphic Design could help Your Business. Are you looking for a way to enhance your marketing with professional-quality images? 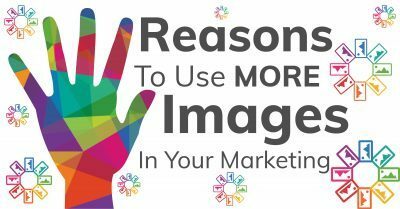 Today’s statistics reveal that visual elements play an ever-increasing role in marketing success, but the reality is that most companies struggle with implementing high quality graphic design projects in house. Click Here to discover how Social Media could help Your Business. Social media is the new brand awareness. It is important to be where your prospective customers are spending their time. Click Here to discover how PPC Management could help Your Business. With pay per click marketing management, we can customize campaigns that fit your business goals. One of the biggest benefits of ppc marketing is that it can be adjusted in real-time. Click Here to discover how Web Development could help Your Business. A professionally designed, responsive website is integral to any modern business. That is why each website created by Art Unlimited contains a framework that can support business growth and enhancement. Click Here to discover how Experience could help Your Business. Ensuring your users are cared for can consume precious time. There are many areas along the sales conversion path where a website user may be dropped, causing a prospective client to lose interest in you and your company. Click Here to discover how Website Enhancement could help Your Business. In the world of technology and online marketing, it is important to stay up to date on all upgrades, required changes, and basic security maintenance. This service module keeps a watchful eye on your website. Click Here to discover how Corporate Branding could help Your Business. Branding is an integral component to building a business legacy within your targeted market. When aligned with your mission, values, and company personality, corporate branding can help your business become a household name with a unique identity. We provide three client advantages, we call our ‘Uniques’, along with three guarantees. Our clients have found these set us apart from the rest of the industry. Custom designed marketing solutions and products with the individual client in mind. Over 35 years of business, giving, and education. We do not pass on hidden fees of any kind to our clients. Upon completion, our clients own their marketing materials and subsequent files. We do not require contracts, and our clients are offered month to month billing for their convenience. The Art Unlimited blog provides the latest information and insight in the online marketing industry. Fill up on practical knowledge that can help your business to succeed.